Last year, there was a video going around made by Feeding America about a little boy who came home from school, looked in the refrigerator and then in the cabinets and just gave up because there was no food in the house. Seeing this video felt as if a load of bricks came tumbling down on top of my body. I probably watched that video 50+ times with tears streaming down my face. In fact it's so hard to type this right now as the tears fill my eyes just thinking about it. It's like someone punched me in the gut and I'm gasping for air. I would never wish my childhood on anyone because no child should ever go hungry, EVER. The unfortunate part of growing up this way is that it is so very difficult for me to remember to eat, even to this day. Something in my brain closes off hunger pains because I was so use to doing that as a kid. When your only meal was the hot lunch at school, your body adapts to that I guess. People look at me and think that I am a small petite person, which I am. However, with that comes a price. A price that I struggle with every day of my life! However my weight does fluctuate just like everyone else just in a different way and it's something that I have struggled with for a very long time. You see, two and a half years ago I was feeling sluggish, depressed, not myself and tired every day! Maybe it was the menopause that I had no idea that I was going through at the time (you can read more about that on "Wait! What did she say???"). All I knew is that I needed something to make me feel better. I happened to be at a school festival in which they were having an auction and I saw that there were some bootcamps at 5:30am being auctioned off. No one had bid on them (maybe because it was so damn early, lol) so I thought what the heck! One of the things that intrigued me was that the bootcamp was directly across the street from my house... roll out of bed, throw workout gear on, walk across the street, talk about being lazy, haha. I mean it might as well been held in my living room it was that close! Anyway, I bid on both of them and won them both! I thought 2 months of boot camp, I'm going to start feeling so much better! As I started going, I realized that I was even more tired when I got home. I could totally sleep for a few hours after a hard workout! What was up with those people who felt like they were ready for the day and could conquer the world? Why wasn't I feeling that way? Anyway, I kept going... 5 days per week, and I didn't miss a step. I may have been slow but I didn't miss a day! One day, I asked these two girls who I met at the bootcamp to tell me what was in their water bottles, each day the liquid was a different color so I was curious. Every day they came super bubbly, happy and balls full of glee (did I tell you that this was 5:30AM???). Anyway, they said "Oh, we have Spark! Tomorrow we will bring you some so you can try it. Yippee, whoop whoop, oh yeah!!! They were literally like cheerleaders and on some occasions I just wanted to trip them, lol. BUT I secretly wanted whatever it was that they were on! Thank goodness it wasn't illegal, lol, because the next day one of them handed me a Spark to go home and try. I was skeptical but thought, why not! When I got home I mixed it in my bottle of water and drank it down. It was so delicious and in a matter of minutes I started feeling AMAZING!!!! Cleaning the house with a smile, dancing to music all by myself, couldn't wait for the hubby and kids to get home... I was like, OMG this is what it feels like to be happy and full of energy!!! I honestly had the best day that I had had in a REALLY long time! And I was all by myself, lol. Now I knew that this Spark stuff came from a company called AdvoCare which is in the direct sales market so INSTANTLY my guard was up with it. I had all those preconceived notions of what I THOUGHT would be required of me if I just wanted to buy some Spark. So as good as that drink made me feel, I told the girls the next day "Thank you, it was awesome!" and that was it. I did nothing... I didn't want someone to sell me anything, I didn't want auto shipments , I didn't want to feel obligated (you know all the same things we all think of when it comes to these things). So I sat there each day after my bootcamp wishing I had another Spark. Stubborn as all hell, I still didn't want anything to do with a "direct sales company" but what I did do was watch. I watched one of the girls that I had met at that bootcamp on social media! And what I saw was that she was helping so many people like me get out of their ruts and I wanted that so bad but I didn't want to be a part of my imaginary assumptions that I created in my head. So I watched and watched and watched some more until I just couldn't take it any longer. My husband wanted to start eating healthy and needed a plan. I wasn't at my best and needed some kind of structure to start eating right as well so we decided to do a 24 Day Challenge through AdvoCare AND it came with SPARK so it was a WIN, WIN for me that's for sure! We decided to ask our friends if they wanted to join us in this challenge so we could all keep each other accountable. We were surprised that there were 10 of us that wanted to do this together! The program teaches you how to eat properly, no processed or fatty foods, and supplies you with all the core nutrition that fill in the gaps that proper food consumption cannot give you, delicious recipes where you don't feel like you are missing out, a daily guide, a free app, AMAZING group motivation AND coaching to get you through! It was one of the best experiences of my life! Not only did I learn how to eat properly but I lost 8 lbs, my husband lost 22 lbs (did I mention he had a broken foot at the time so zero working out at all) and our friends lost incredible weight as well BUT the most incredible thing was how everyone said that they felt! The amounts of positive energy (not shaky nervous energy) was astronomical! People felt better that they had in years and I was hearing this from each and every person that decided to do this with us! It fueled my fire and gave me passion again! A passion to help others who struggle with food no matter what that struggle is. The thing that is wonderful about this program is that it is NOT about being perfect, it is not about losing the most weight (even though the potential is there). What it's truly about is finding the best version of you! Meeting friends that will encourage, strengthen, mentor and always be there when you need them. Listen, no matter what your struggle is with health and wellness I can certainly relate. And does this mean that we can never enjoy ourselves again? Of course not! But what it does mean is when we go to the fair and eat fried and fatty foods or lets say you want to enjoy a great dinner with cocktails our bodies bounce back much quicker that they would had we not learned how to change our mindset on foods. The thing is... this is not a magic pill. This is not some fly by the night company that hasn't done its research. This is not a gimmick. What this is is a program that works! This is a company that puts the top doctors and scientists in their fields of work to find the best supplementation program to fill in the gaps that we all need! 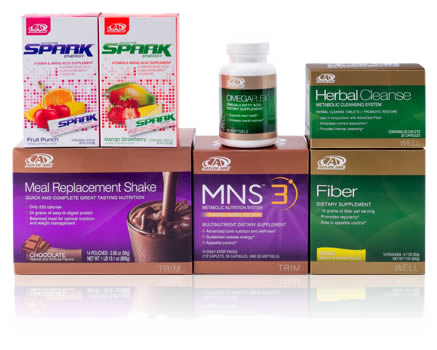 AdvoCare is 24 year old company that is leading the world in proper supplementation and business practices and that is why they have the most UNPAID athletic endorsers over any company in the world. Top endorsers include Drew Breese - New Orleans Quarterback, Jason Witten - Dallas Cowboys Tight End, Trevor Bayne - #6 Nascar and Rich Froning - 6 Time World Cross Fit Champion are just a few of the amazing endorsers of AdvoCare. If you are interested in the 24 Day Challenge, we have large groups starting up each month AND this coming New Year will be the biggest one yet! Click HERE for everything that you will need to get you started. I am also here to help you through your journey because we all need that little push. Together we can create a healthy lifestyle that ultimately can affect all aspects of your life! Who doesn't want that? 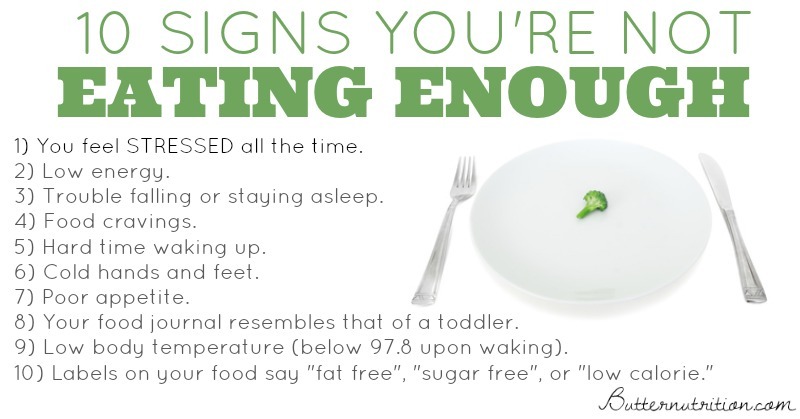 A great list of knowing when you aren't getting enough food. Really useful graphic and you´re looking great girl! Thank you Tineke, that's so nice of you!!! I have a girlfriend who swears by her Spark. She starts freaking out when she is low. Maybe I will give it a try. Life changing Stacy! My journey literally started with one Spark, lol! Now I cannot go a day without it, lol! I'm not a big coffee drinker so something like Spark interests me in the morning! Congratulations on your health lifesytle. Thanks for passing on the knowledge and helping others. I'm going to need to show my hubby this post because I've been telling him he's not eating enough food to lose weight. Maybe now he'll believe me. Hi Kathleen, if he thinks of his body as an engine that has 3 main components 1) exercise, 2) supplementation and 3) food intake, it will make sense to him. Each component plays a huge role and when one or more are shut down it's hard to lose any weight because the other components or maybe none of them are working and the metabolism slows down. However when all three of the components are in conjunction together it's like a well oiled machine and the weight will fall off much faster. 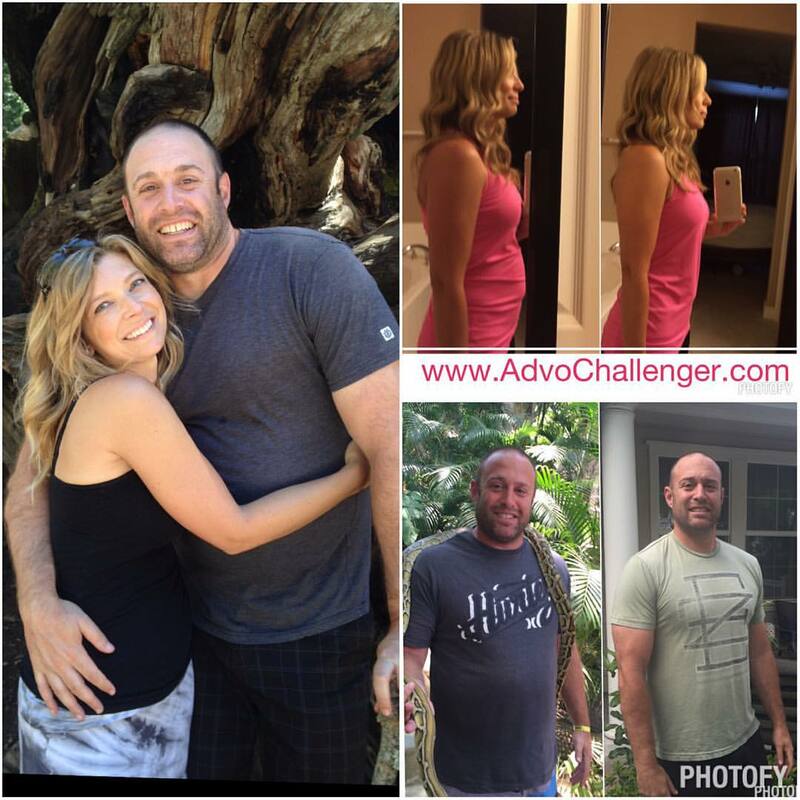 That is how I got my hubby to lose 22 lbs in 24 days. People seem to think less is more when it comes to food but it's quite the opposite. Now that doesn't mean cheeseburgers, tacos and bad food but if he eats the proper foods his metabolism will be in full effect and he will start shedding. I came from a similar background and can relate to skipping meals. Great tips for people so they can start listening to their body. I am definitely guilty of not eating properly since I had the twins, I'm just so busy and end up just snacking when I can in the day. Thanks for reminding me to look after myself! Thanks for the balanced approach! It is really important to become deeply conscious of what your body is telling with regard to food. 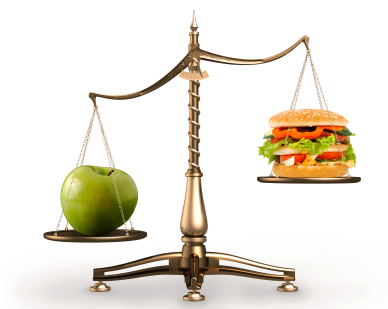 Eating too little may be less frequent a problem for people but it can still be a concern. Can I ask, do you ever feel as if your body "gets used to" the Spark? And then maybe it doesn't work quite as well as it did when you first started drinking it?